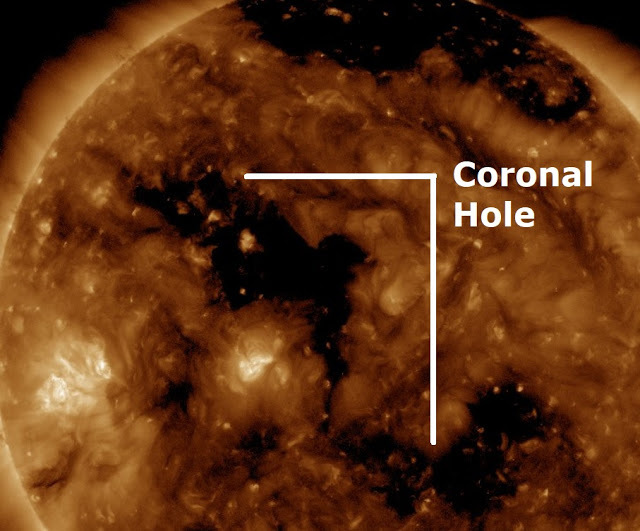 It's the third major quake in less than 48 hours as a new coronal hole faced the Earth on the Sun's atmosphere two days ago, Big Wobble readers know how solar storms influence our planet. Solar wind flowing from the indicated coronal hole, see below will reach Earth on Dec. 16th, meaning a major quake watch has been busy for the last couple of days, ( this is the third major quakes in the last two days and just as the other two, today's was expected, see here. 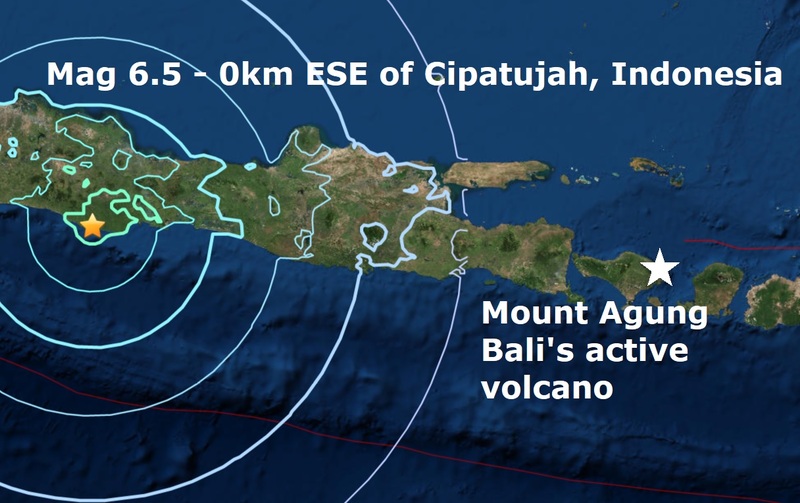 Today's major quake occurred once again along the Pacific Ring Of Fire and very close to the Mount Agung volcano on the tourist island of Bali which has been erupting since September. As the solar wind impacts our planet tomorrow the major quake watch will end. Today's quake was the 9th major quakes of a busy December and the year total to 110 which is easily the quietest year this century for major quakes. A strong 6.5 magnitude earthquake rocked the Indonesian capital Jakarta and other cities on the country's most populous island of Java, killing an unknown number of people. There were reports of collapsed buildings and authorities issued a tsunami warning for parts of Java's coastline after the quake struck. People ran out of buildings in panic in many areas and Indonesian television showed heavy traffic on roads as people left coastal areas. Deaths were reported, according to Sutopo Purwo Nugroho, a spokesman for the country's National Disaster Mitigation Agency. He could not immediately provide details on how many had been killed. There were also reports that buildings had collapsed in the city of Tasikmalaya in western Java and in several other districts. Mr Nugroho said strong tremors were felt for about 20 seconds in the capital of Jakarta and in cities and villages in western and central Java. The US Geological Survey said the earthquake had a magnitude of 6.5 and was about 56 miles deep and located inland. 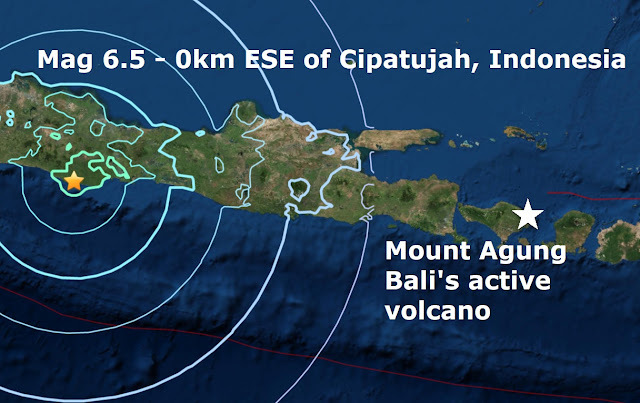 Indonesian authorities reported a quake of similar magnitude offshore of Java. Indonesia sits on the "Pacific Ring of Fire" and has frequent earthquakes and volcanic eruptions.